Organisms that feed within sponges include polychaetes, copepods, amphipods, isopods and snapping shrimps. Sponges have only recently been linked to symbiosis processes. Symbiosis is the ecological process in which two or more different species interact with each other. The symbiosis process can either have a positive or negative effect on the host and its symbiont. 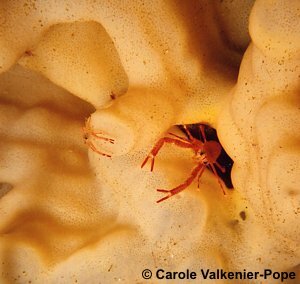 Small crustaceans, use sponges as protection from predators. Glass sponges are important ecosystem engineers as communities are capable of growing on both hard and soft substrate. The spicule mats that glass sponges form acts as a three-dimensional habitat for a diverse range of invertebrates. For more in depth information on this see Creating Habitat for Other Species or Habitat Amplification. A classic example of symbiosis in sponges is the Venus flower-basket (Euplectella) which typically houses a mating pair of shrimps that live encased within this sponge until death. The sponge offers protection from predators and easy access to food that is pumped through the sponge. The Pycnogonida are a class of small, primarily benthic marine arthropods often called sea spiders because they superficially resemble the true, terrestrial spiders. Most pycnogonids are small, with leg spans of less than a centimeter. 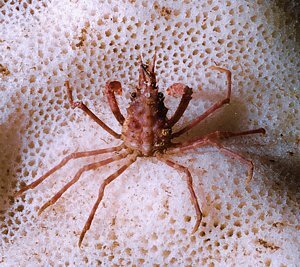 Pycnogonids could gain an advantage living on sponges since the sponge could potentially bring food to the pycnogonid effecting an energy saving for the sea spider. 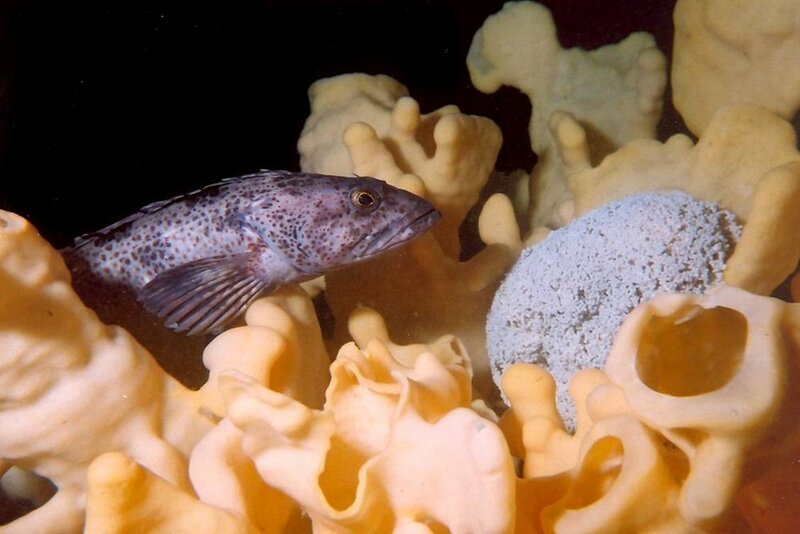 Female lingcod will often lay their eggs in glass sponges where they are protected by the male lingcod until they hatch in 24 days.